BBC Two will broadcast a number of new commissions, focusing on telling the story behind the show. For one night only, Professor Brian Cox will take an audience of celebrity guests and members of the public on a journey into the wonderful universe of the Doctor, from the lecture hall of the Royal Institution of Great Britain (1x60 minutes). Drawing on the latest theories, as well as 200 years of scientific discoveries and the genius of Einstein, Brian tries to answer the classic questions raised by the Doctor: Can you really travel in time? Does extra-terrestrial life exist in our galaxy? And how do you build something as fantastical as the TARDIS? In an hour-long special, BBC Two’s flagship arts programme The Culture Show presents Me, You And Doctor Who (1x60 minutes), with lifelong fan Matthew Sweet exploring the cultural significance of the BBC’s longest running TV drama, arguing that it’s one of the most important cultural artefacts of modern Britain. Put simply, Doctor Who matters. He’ll examine how the show has become a cultural force in its own right and tell the stories of some of the unsung cultural heroes, who pioneered its innovative music, design and storytelling. BBC Two wraps up its coverage with the previously announced An Adventure In Space And Time (1x90 minutes), which will tell the story of the genesis of Doctor Who and the many personalities involved. Written by Mark Gatiss, the drama stars David Bradley (the Harry Potter films); Brian Cox (The Bourne Supremacy, The Bourne Identity), Jessica Raine (Call The Midwife) and Sacha Dhawan (History Boys, Last Tango In Halifax). 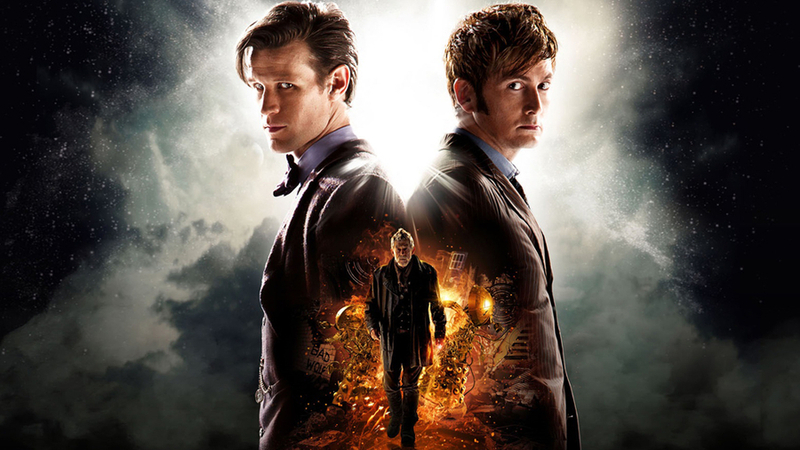 Steven Moffat, lead writer and executive producer of Doctor Who, says: "Fifty years has turned Doctor Who from a television show into a cultural landmark. Personally I can't wait to see what it becomes after a hundred." There will also be programmes across CBBC with 12 Again (1x30 minutes) bringing together CBBC’s super-fan Chris Johnson, impressionist Jon Culshaw, Tommy Knight (Luke Smith), Warwick Davis (Porridge), Neve McIntosh (Madame Vastra), Dan Starkey (Strax) Louise Jameson (Leela) and the seventh Doctor, Sylvester McCoy, to share their memories of watching TV’s top Time Lord when they were young.